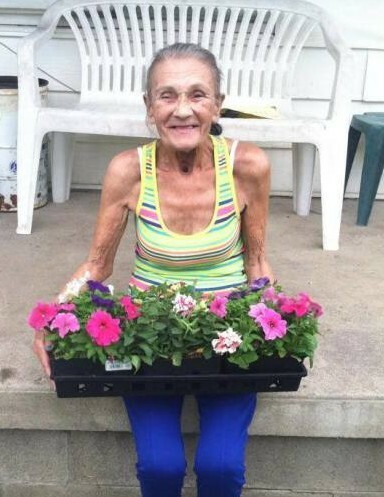 Linda Lou (Savage) Green, 69, of Crooksville peacefully passed away on Saturday, March 23, 2019 surrounded by her big beautiful family at her home following an extended illness. She was born July 14, 1949 in Zanesville, the daughter of the late, Lyle R. Savage and Corabelle (Chevalier) Savage of Crooksville. Linda was a member of the Crooksville American Legion Auxiliary Post #222 in Crooksville, the former Crooksville F.O.E. and St. Rose of Lima Catholic Church in New Lexington. Linda had many loves in life, most abundant was the love she had for her children, grandchildren, brother and sisters. She could often be found at all the local BINGOs, never missing a chance to hit it big. Linda enjoyed crocheting, playing the “tear-off” tickets and her favorite past-time was watching the show, “Law and Order”. Linda leaves behind many, many family members to cherish her memory, including her daughters, Mary Lou (Sam) McClelland and Pauline (Donald) Starcher; her significant other of seventeen years, Tim Campbell; her step-children, Courtney Strate and Christina Campbell; her sisters, Lana Head, Cora (James) Wheeler, Debbie (Ron) Miller and Tammy (Darrell) Lyons; her brothers, David Savage, Danny (Rose) Savage, Terry Savage (Christy Hampton), Richard Savage and John Savage; her darling grandchildren, Matthew Kinney, Kaitlyn Canter, Kullen McClelland, Kyler McClelland, Joselyn Thompson, Karissa Grannon, Tanner Gilvin, Kolton McClelland, Keara McClelland, Bradey Starner, Kessa McClelland, Kamaree McClelland and Libertee Beach; her five step-children; and her great-grandchildren, Railynn Kinney, Brantley Kinney, Harper Canter, Parker Canter, Bentley Thompson, Owen Thompson and Kelsey Severance. Preceding Linda in death are her husband, Paul B. Green, Jr., who died July 5, 2001; her brother Rolland Savage; her sister, Joanne Thompson, and her son-in-law, Jeff Gilvin. Friends are invited to visit the family, 12:00 PM-4:00 PM and 6:00 PM-8:00 PM, Tuesday, March 26, 2019 at the Goebel Funeral Home, 36 N. Buckeye St., Crooksville. Funeral services and a celebration of Linda’s life will be 11:00 AM, Wednesday, March 27 at the funeral home. Linda will be buried next to her husband, Paul in St. Patrick Cemetery in Junction City.